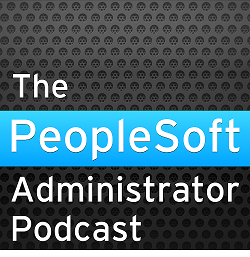 Most of a PeopleSoft application is itself stored in the database in PeopleTools tables. Therefore there is lot of information about the configuration and operation of a PeopleSoft system. There are also performance metrics, particularly about batch processes. PS360 is a new tool on which I am working. It just uses SQL scripts to extract that data to html files, and package them up in a zip file so that they can be sent for further analysis. The style and method is closely modelled on Enkitec's EDB360 by Carlos Sierra. This is another free tool used for health check and performance analysis of any Oracle database system. PS360 aims to gather PeopleSoft specific information that is not presented by EDB360. It also runs in Oracle's SQL*Plus tool, and so is only available for use with an Oracle database. Every section of PS360 is just the output of a SQL query, sometimes pre-processing is done in an anonymous PL/SQL block. It does not install anything into the database, and does not update any table (other than the PLAN_TABLE which is used for temporary working storage). Each report is in tabular and/or graphical format. All the charts are produced with the Google chart API. The output falls into three sections. Configuration: Simple reports of certain configuration tables. Consistency Checks: both within PeopleTools tables and between the PeopleSoft and Oracle catalogues. The tool can be run by anyone with access to the PeopleSoft Owner database user (usually SYSADM). That user will already have the privilege to read the Oracle catalogue. Download the tool and unzip it into a directory. Open SQL*Plus and connect as the owner of the PeopleSoft database (usually SYSADM). The output will be written to a zip file in the same directory. Unpack that zip file on your own PC. Open the file ps360_[database name]_0_index.html with a browser. I am looking for feedback about the tool, and suggestions for further enhancements. Please either leave comments here or e-mail me at info@go-faster.co.uk. Just downloaded this tool and tried it against one of my environments, very cool, thanks! I think it will come in handy to give me a quick overview when I am at client sites. I just downloaded and tried on one of my environments , its a cool app , kind of summation at one place for everything ; a nice and clean UI adds to it. Thanks a lot for this utility.I hope more enhancements coming to it.